TNEA 2nd Round Seat Allotment Result 2018: TNEA Second round seat allotment result will be released by the Anna University on 2nd august. 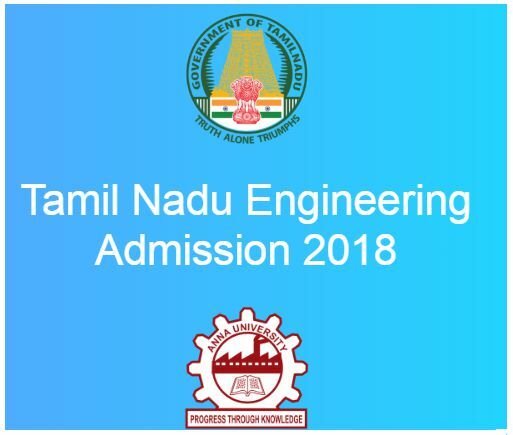 The Tamil Nadu Engineering Admission (TNEA) for admissions into B.Tech/BE courses has been announced in the month of July. Many of the qualified hopefuls have applied for TNEA this year. The Anna University will allow the seat allotment results for the qualified aspirants. Candidates who got admission in TNEA will have to report at the allotted colleges on the announced dates. Hopefuls who has just completed the 12th Class/Intermediate/Plus 2 with MPC group have applied for the TNEA in the month of April. Now, the aspirants can check the seat allotment results of 1st round on Anna University official portal, annauniv.edu. For more updates go through the following article. Anna University is one of the well-established universities of Tamil Nadu. The university offers admissions for various Undergraduate and Postgraduate Degree courses for the students annually. Also the AU deals with the admission process of technical courses such as BE/B.Tech through Tamil Nadu Engineering Admission (TNEA) every year. This year the Anna University has accepted online applications from eligible aspirants seeking admission in B.Tech/BE courses for the academic year 2018 -19. A large number of students have applied in the month of April. Also, the candidates who are eligible to get admission have payed the fee through DD from 24th July to 28th July. The Anna University is expected to release the TNEA 1st round seat allotment result 2018 on 28th July. Students who do not get the seat allotment in this round need not worry. The Anna University is going to announce the 5 rounds of seat allotment results. Students can get admission in any of the seat allotment round. Course Name B.Tech / Bachelor of Engineering B.E. Candidates who had already applied for the TNEA for admission of BE/B.Tech courses can check the 2nd allotment result from the Anna University official portal, annauniv.edu. candidates who got admission in 1st round allotment will have to lock the seat to continue with the admission. Candidates who are unhappy with the allotted college can wait for the next rounds of admission process. Candidates who are happy with the admission can download seat allotment order to report at the allotted colleges. Visit the Anna University Official website, annauniv.edu. On the homepage, the TNEA 2nd Round seat allotment result 2018 link will be displayed. Click on the link and provide the required credentials. Tap on the submit button beneath it. The TNEA 2nd round allotment result will be displayed on the screen. Check the result and take a printout of the allotment order. Sir I was allotted a seat in top engineering college in round 1 and I did not take it as medical counselling was on that day now I want a seat in round 2 my cut-off is 190 . How to apply and get.